A photo exhibition #FeelSafe will open on Monday, May 8 at 12.00 in front of Ukrainian House on Yevropeiska (European) Square in central Kyiv. It will acquaint guests of the city with those who are ensuring Eurovision is a great success. 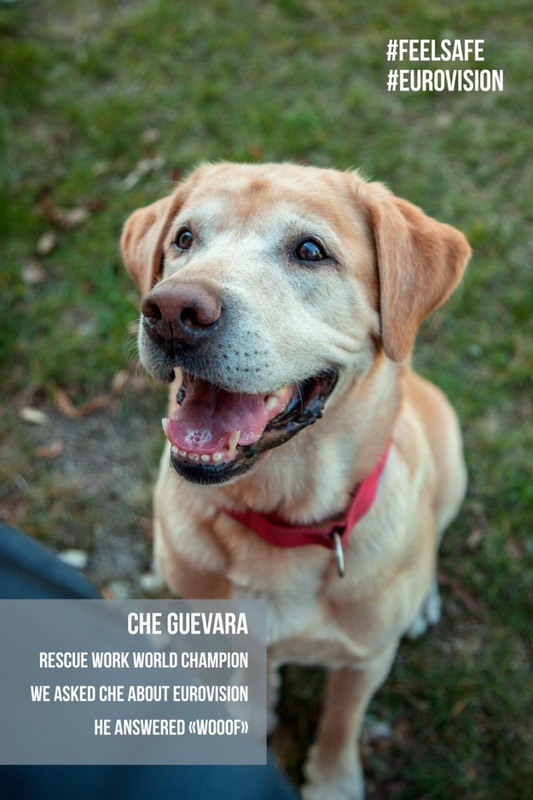 Police officers, firefighters, rescue workers, a cardiologist and even a world champion rescue dog are featured in the project. #FeelSafe is a joint project of the Project Office of the Ministry of Interior of Ukraine, Ministry of Health of Ukraine, СFC Consulting, Republic Strategic Communications, UCMC and Ukrainian House. Representatives of the Ministry of Interior of Ukraine and musician Eduard Romaniuta will participate in the exhibition opening. A dance flash mob will take place at 12.00. Around 10,000 law enforcement officers and 7,000 surveillance cameras connected to Kyiv City Situation Centre will be deployed for Eurovision-2017 . Police stations with English-speaking officers will be working in key locations. A 1551 hotline will be operating, in English as well.